Thirteen Spanish songs for Lent, Holy Week and Easter—some of the very best Spanish liturgical music available. “Resucitó” (He is risen)—in a single word, the Spanish language captures the ultimate mystery of the Christian faith. It is a word of hope, a promise. What better title for a collection of Spanish songs for Lent, Holy Week and Easter? The songs featured on Resucitó will be familiar to many Hispanic churchgoers. Most of them can be found in Flor y Canto, Cánticos and Cánticos, Segunda Edición. 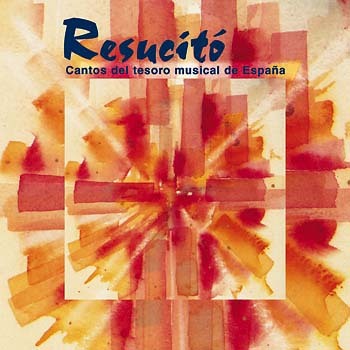 Like Pescador De Hombres, Volume 1 of the Cantos del Tesoro Musical de España series, the songs on Resucitó represent some of the very best Spanish music.